Comments: A vibrant green foliage with splashes of white make it an eye catcher. The spathe is also a vibrant white and flowering may occur at any season of the year. 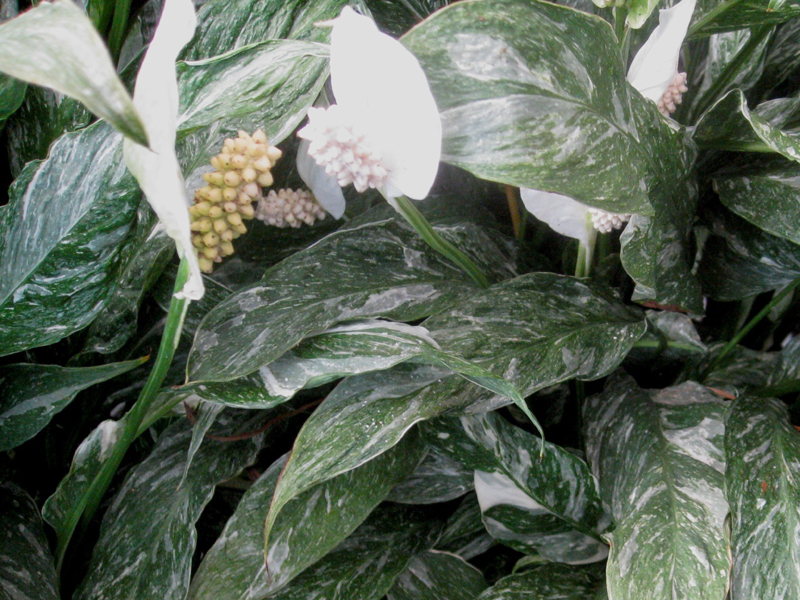 From high light in the garden to relatively low intensities indoors, the Peace Lily perfroms well. However, must have shade to do well where the evening sun is hot. Scale insects may infest spathiphyllum.